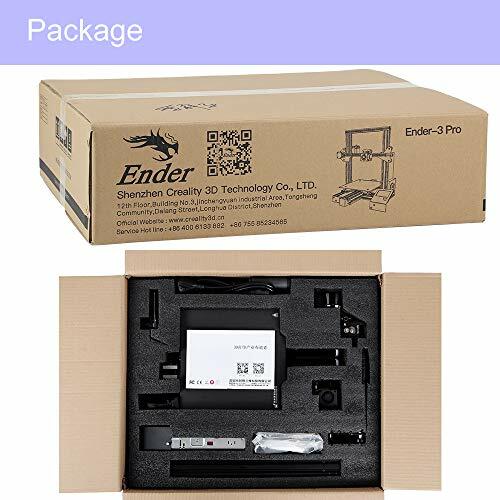 Open Source Hardware Association Certified: The Ender-3 Pro is the first truly Open Source printer to come out of China. All hardware CAD files, board schematics and firmware files are available and updated on our GitHub page. This ensures regular updates and the latest features from a large and active community of users. 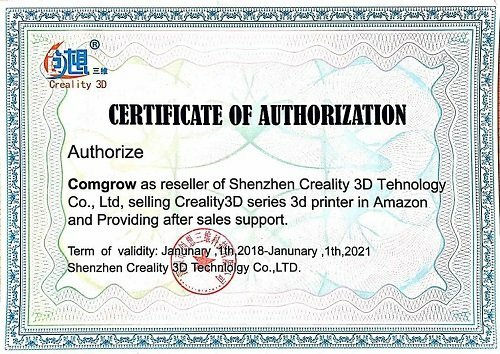 China's First Truly Open Source Printer- Certified by the Open Source Hardware Association. Max Hot bed Temperature: 110? All the assembly tools and some spare parts, you can verify the details of the images shown. 1. Super Printing size with one-piece structure, save space but building the world. 2. Only 50 minutes with 20 screws assembly before the first printing, simple assembly but more stable performance, Win-Win for fun and time. 3. Safety protected Power supply, reach 110? for hotbed in about 5 minutes. Additional power cut protection function to meet the needs of fast heating and longtime printing. 4. CNC machining of Y-rail mounting groove to make sure precise positioning and keep the stable frame with High-Precision printing quality. 5. New Viscous Platform sticker to replace reprinting tape and glue, solve warping problem but save the printing cost. 6. 24 hours testing for key components before delivery and one year warranty. 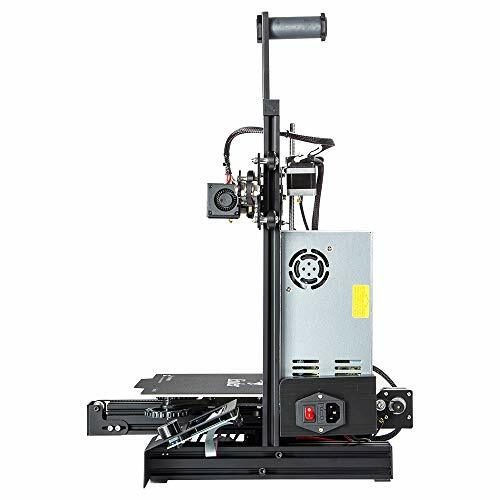 Upgrade Version: This is the upgrade version of Creality Ender-3 3D printer with Resume Printing, 220*220*250mm printing size. 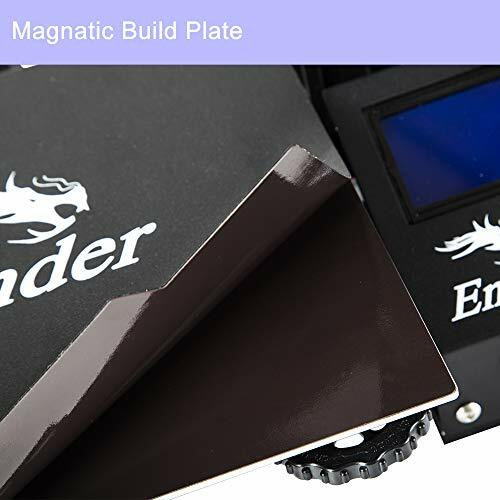 Cmagnet Build Surface Plate: Provide all-round protection to your 3D printer build plate and ensure consistent temperature throughout the build surface. Easy to remove the printing models after cooling. 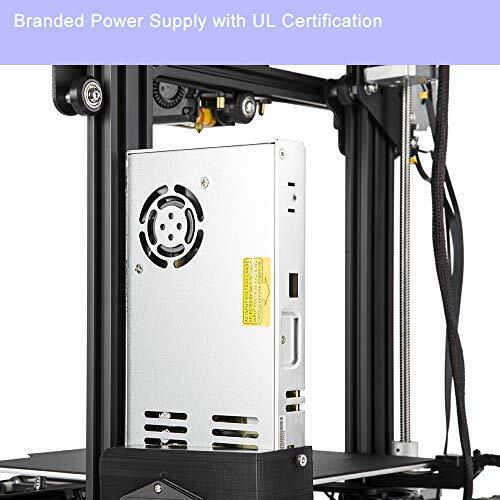 Safe Power Supply: Ender 3 Pro comes with a Mean Well UL Certified power supply, protecting your printer from unexpected power surges, that can heat the hot bed to 110? in just 5 minutes. 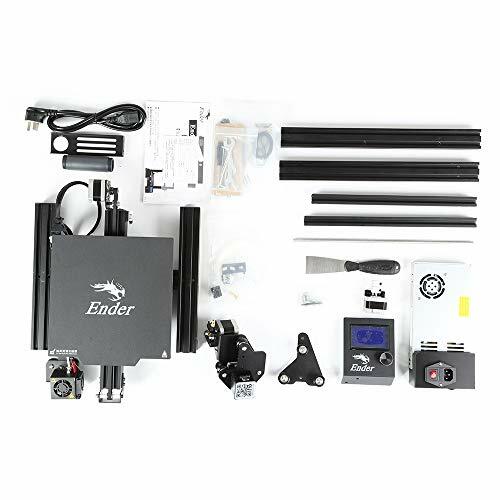 Semi-assembled Kit: several assembled parts This easy-to-setup kit comes partially assembled, allowing you to learn about the basic construction of 3D printers as you finish putting it together. A fun STEM educational experience in mechanical engineering and electronics. What Can We Do? 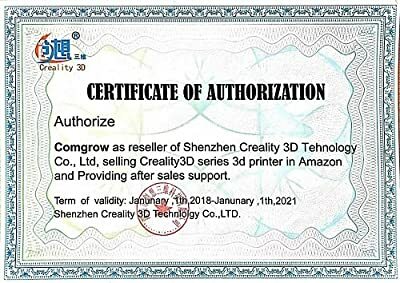 : As an authorized distributor, we Comgrow offer 100% original Creality 3D Printer, and can offer life time professional after sales technical support within 24 hours.